- We work only with highly experienced professionals. 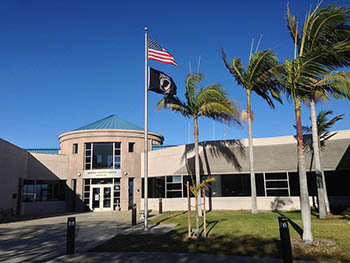 In the air, you'll fly with a former airline pilot with thousands of flight hours experience around the world and dozens of students successfully trained and checked as flight instructor and designated pilot examiner. 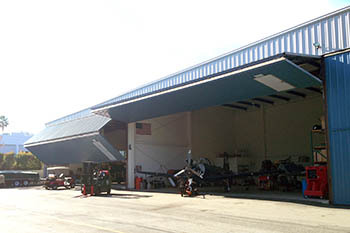 On the ground, Lyons Aircraft, our partner maintenance shop has an excellent safety record, and is the favorite choice of high-performance warbirds owners on the field, thanks to the background of their managers as former US Navy F/A-18 mechanics. 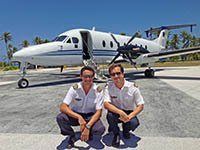 Behind the scene, our Chief pilot has been in charge of safety and quality management for airlines and certificated flight schools before running Heading West and is committed to applying the same safety rules and procedures for general aviation as he did in commercial air transportation. - We provide our customers with extended onboard safety equipement, such as portable emergency beacons with GPS transmitter, emergency survival kit, first aid kit, life jackets, traffic collision avoidance system, etc. - We will never blame you or charge you for a safety-motivated decision (like canceling a flight, or failing to return the plane on time, for weather reasons). Antoine is a French native who learned to fly gliders and airplanes in France, Belgium and United Kingdom. He flew all over the world as a private and commercial pilot, and worked as an airline pilot and a flight school instructor in Tahiti. 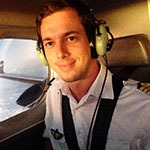 Antoine enjoys flying planes for sightseeing and discovering awesome remote places, more than commuting between big cities. 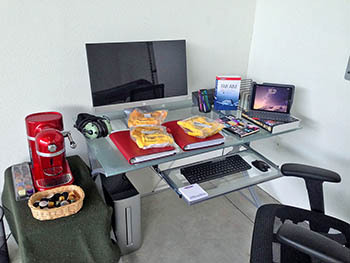 Armando works as a business jet pilot and has a great experience as Flight Instructor in Los Angeles. He is a tailwheel instructor and loves to fly vintage airplanes. Armando will take care of your training and BFR revalidation ! 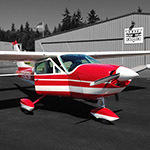 Our Cessna 177 Cardinal is the perfect airplane for discovering California. The Cardinal was built as a new-generation C172 : tough and easy to fly. - No struts ! It makes it much easier to open the doors, climb in the plane, and gives an unobstructed view on the side. The ideal platform for sightseeing and photographers ! - The pilot seats forward of the wing leading edge, which gives a much better outside visibility than in a C172. With 1700h on the plane since factory and 10h on the engine since last major overhaul, you'll feel like home, safe and comfy. L.A. - San Francisco - Death Valley - Las Vegas - Mojave - L.A. ! Fabulous journey, beyond my expectation ! Unforgettable anecdotes, breathtaking landscapes, outstanding flight conditions. A huge Thanks to Heading West for making this adventure possible ! 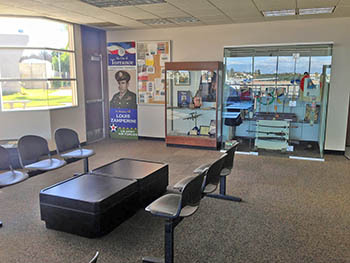 Right : The airport waiting room and Zamperini museum. Snacks, drinks and restrooms are available for your convenience. We will welcome you there. Right : Our flight planning office next to the airplane.